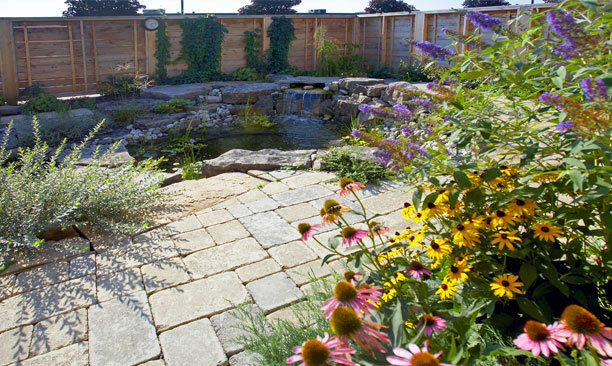 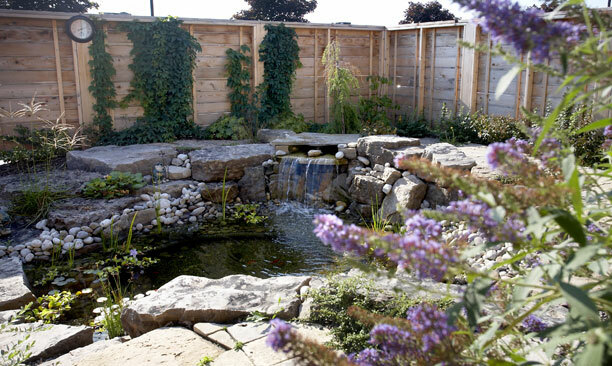 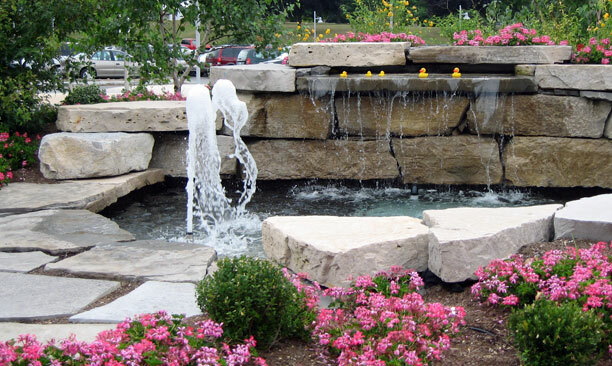 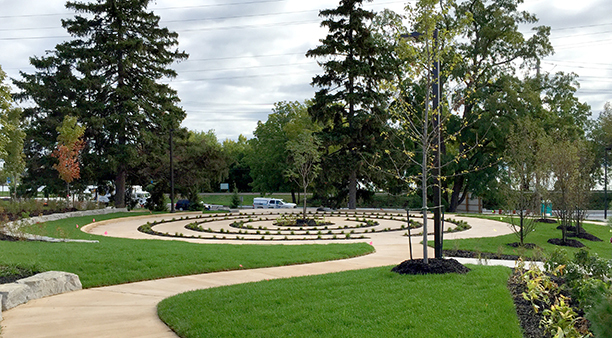 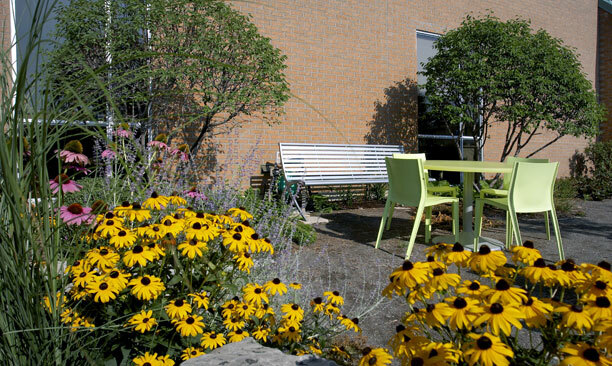 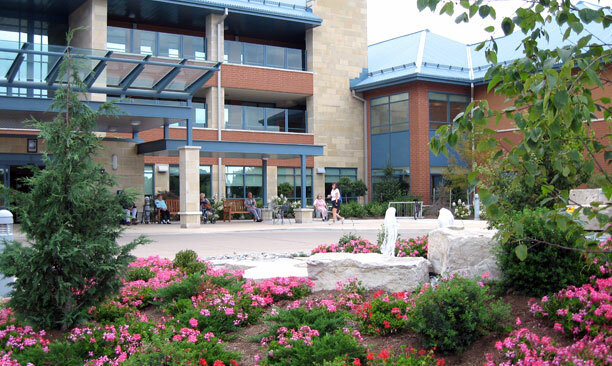 Health Care - PMA Landscape Architects Ltd.
PMA has designed the landscape spaces for numerous Hospitals, Long-Term Care Residences and other healthcare facilities. 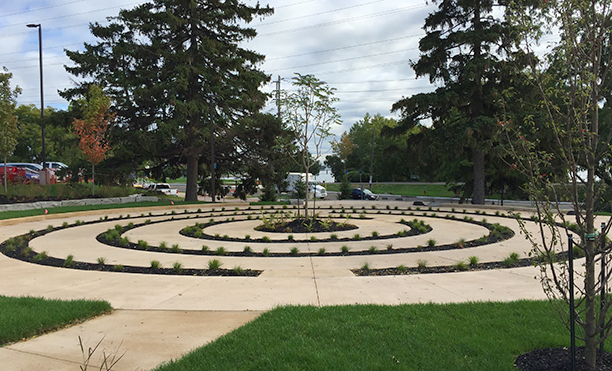 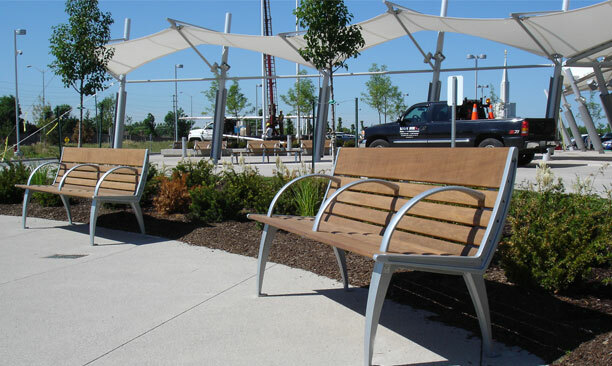 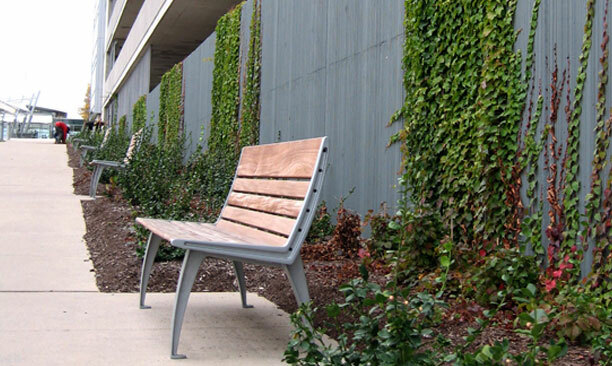 These projects typically involve the landscape and environmental designs surrounding the buildings, streetscape, support towards passive stormwater management, plantings, and specialty courtyard or terrace spaces. 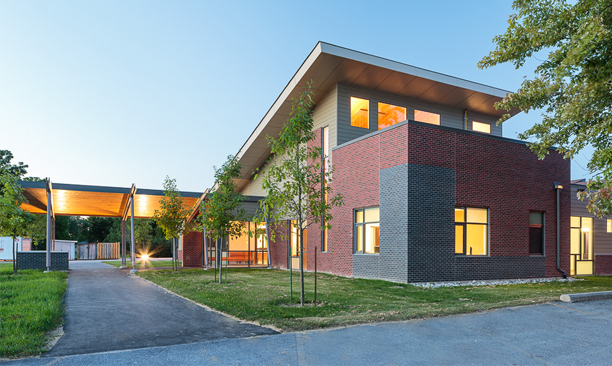 PMA has designed terraces for treatment of patients with Autism Spectrum Disorder, mental health, and physical challenges. 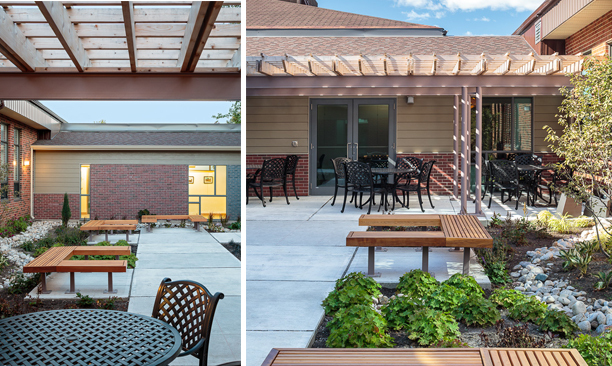 Terraces towards long-term care residences include functions for respite, outdoor dining, gardening activities, exercise and socializing.